A whole heck of a lot went down this election season, but one major term to rise out of the mess was “Nasty Woman.” Many women rallied around the “Nasty Woman” label, turning it into something so powerful that women are even getting the phrase tattooed on them, and feminist businesses latched onto it instantly, turning it into something positive and empowering instead of insulting. And this brand created its very own “Nasty Woman” perfume. We totally heart it! 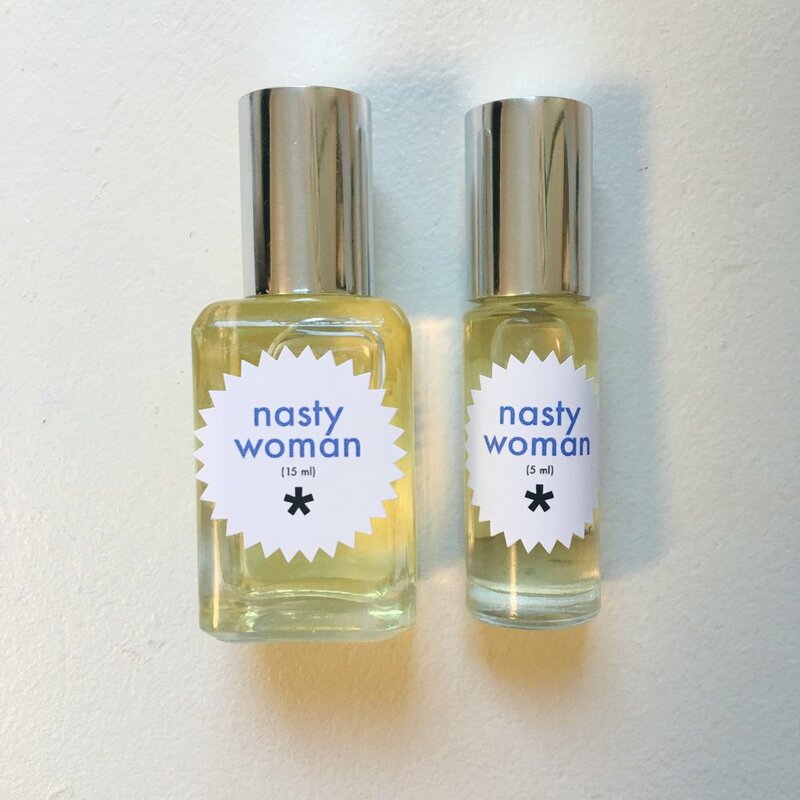 Created by Twinkle Apothecary, this beautifully crafted Nasty Woman perfume is an actual dream. It’s vegan, cruelty-free, and feminist as heck. ICYMI, the Trump called Clinton a “nasty woman” during the presidential debates. Instantly, feminists reclaimed it, turning the sexist comment into a source of pride. 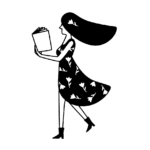 The Nasty Woman perfume is a fresh, woodsy blend of frankincense, lavender, patchouli, and cedar wood smells. Sounds good to us! We’re always down to try a new perfume, anyway. 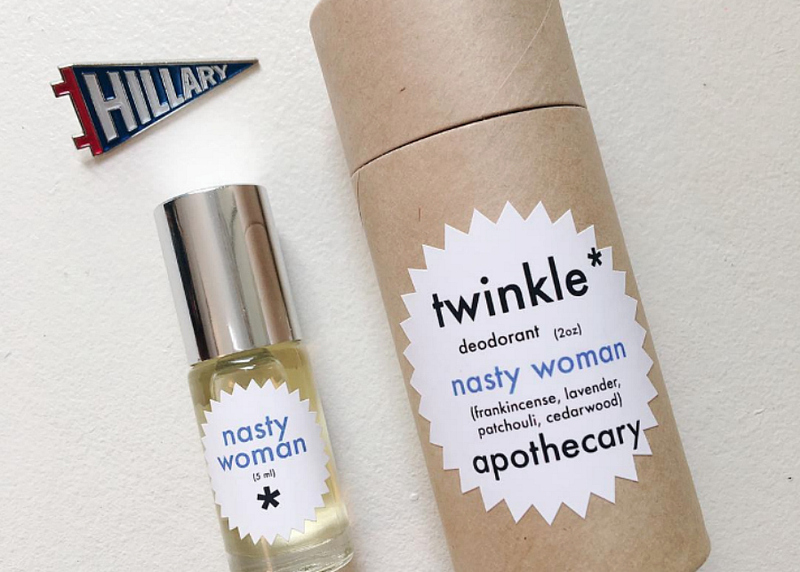 If this sounds right up your alley, you can get the Nasty Woman scent in a variety of products from Twinkle Apothecary. You can grab the Nasty Woman perfume for $15, making it the perfect gift for every member of your squad!